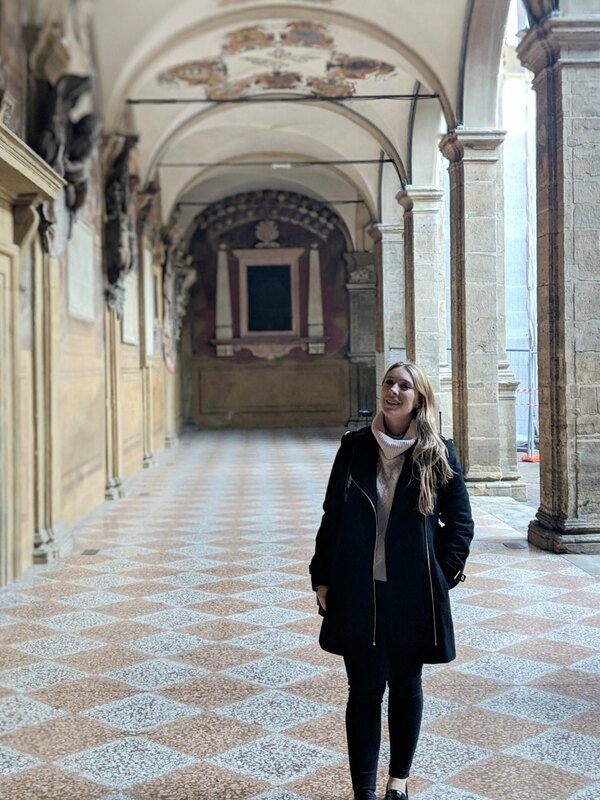 If you've seen my Instagram lately you'll know it's no secret that I completely fell in love with Bologna when I visited in December for a weekend trip. It's a beautiful Italian city filled with terracotta roofs, incredible food and wine, and a wealth of activities and things to do. It's also fairly cheap with regular direct flights and a lot of mid-range and budget hotels. Unfortunately there are only two 'luxury' hotels, the four-star AC Marriott where I stayed (which was modern and clean and staying there meant I earned my Marriott nights and points, but it was quite basic and far from the main area), and the Grand Hotel Majestic which is absolutely beautiful and I really wish I'd forgone the points and just stayed there instead! 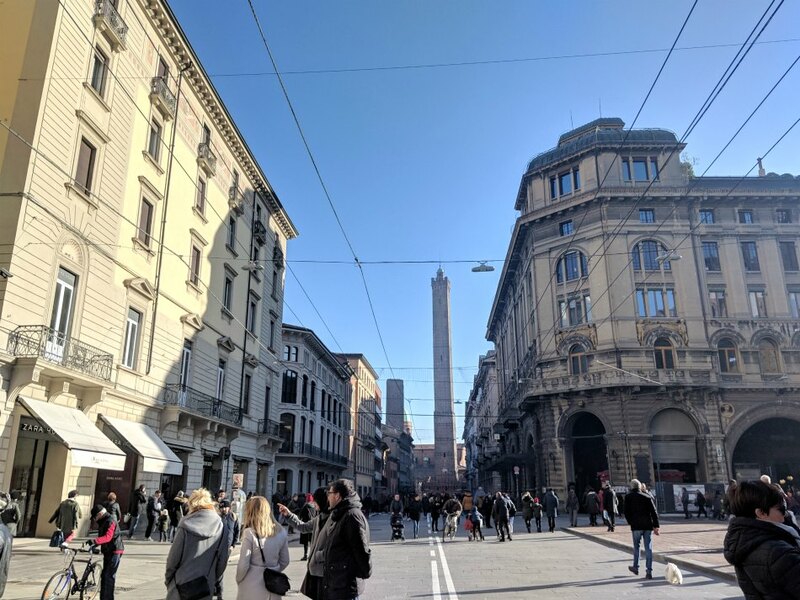 Start your day with a visit to Bologna's famous leaning towers; The Tower of Asinelli, which is actually taller than the famous leaning tower of Pisa! Just make sure you book your time slot online in advance as you can't buy tickets on the door. We found this out the hard way, and sadly every time-slot for the whole weekend was already fully booked when we tried to go onto our phones to purchase them! Now, if you're not a fan of cars and don't want to stray too far from Bologna, do a day trip out to Monte Della Guardia. 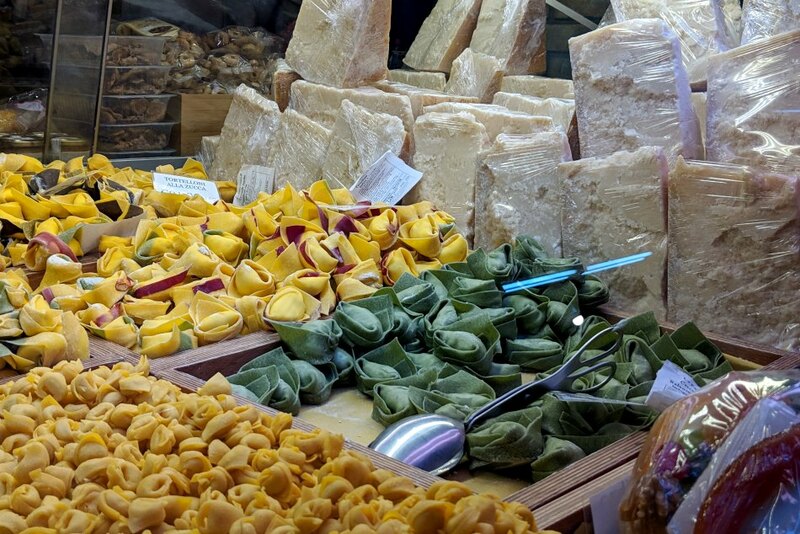 However if you do enjoy cars and want to see a nearby foodie town, head to Modena (see below recommendations)! If you're lucky enough to score a table for Osteria Francescana three months in advance when booking lines open, head to my review of the restaurant and find out more about the experience and what I thought of the twelve-course tasting menu. 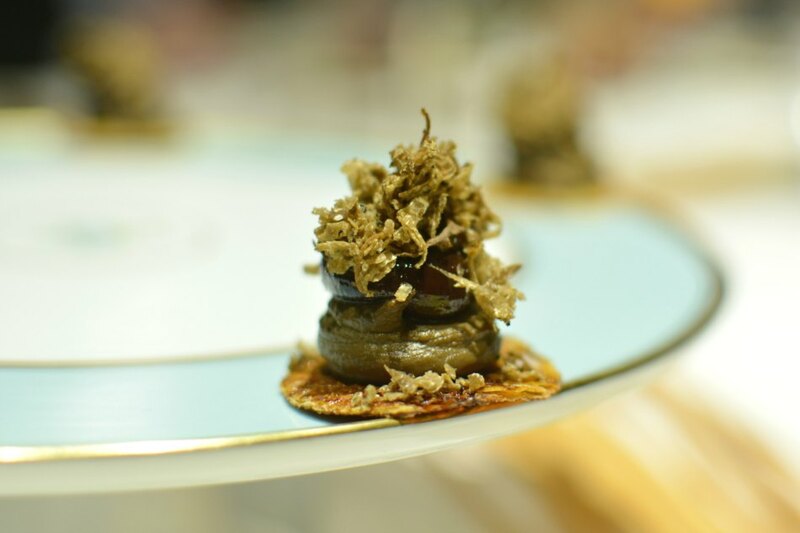 If you don't manage to get a booking, book into Massimo Bottura's more casual restaurant in Modena, Franceschetta58. 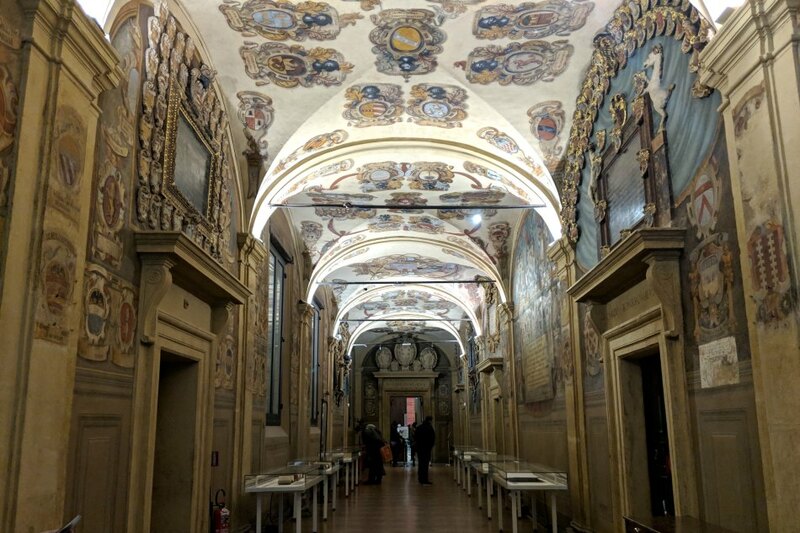 The city of Modena is really beautiful, so you can easily spend an hour or two wandering around taking in the stunning architecture. The Ferrari museum is much bigger than the Lamborghini museum, but you'll still only need about an hour to go around the whole museum. 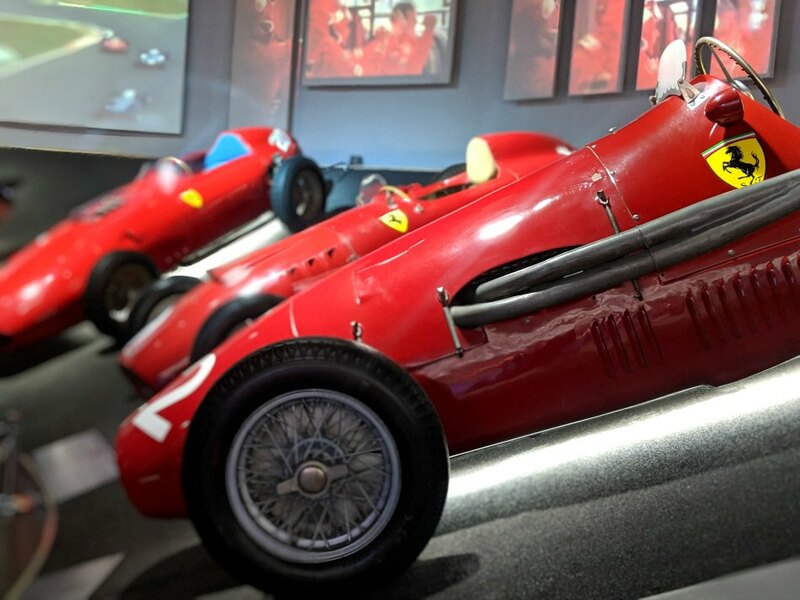 There are two Ferrari museums in Modena; the Maranello one, and the Enzo Ferrari one which is more about Enzo's life, so it just depends on which one interests you more or whether you have enough time to visit both. 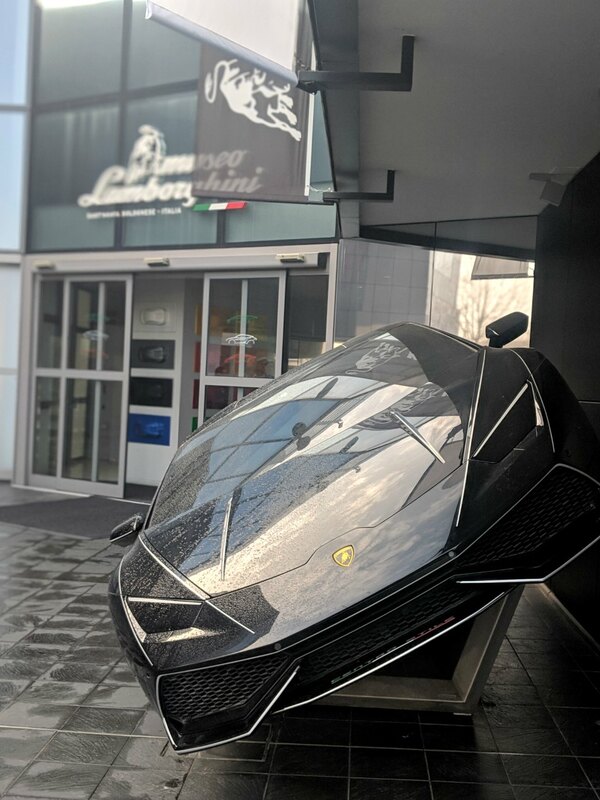 The Enzo Ferrari museum is in the centre of Modena, so is ideal for those with limited time or getting the train from Bologna rather than using taxis/having car hire. 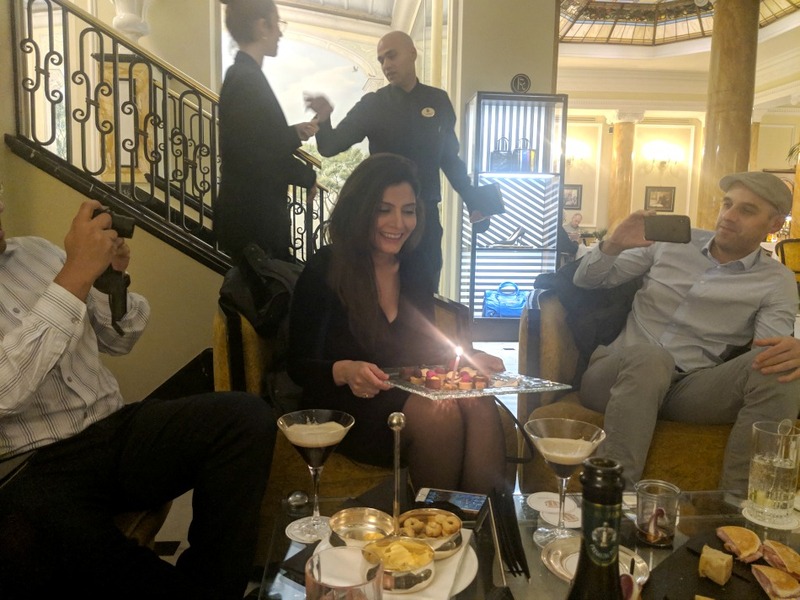 Once you're back in Bologna have a quick change and freshen up, and then head to the five-star Grand Hotel Majestic (if you're not already staying there - it's the only five-star hotel in the city) for drinks in their beautiful bar. The toilets downstairs have some pretty incredible history (including an uncovered Roman road), and the hotel itself is simply stunning. If you're not full from lunch grab some bar snacks or head to the hotel's restaurant for a sumptuous meal. 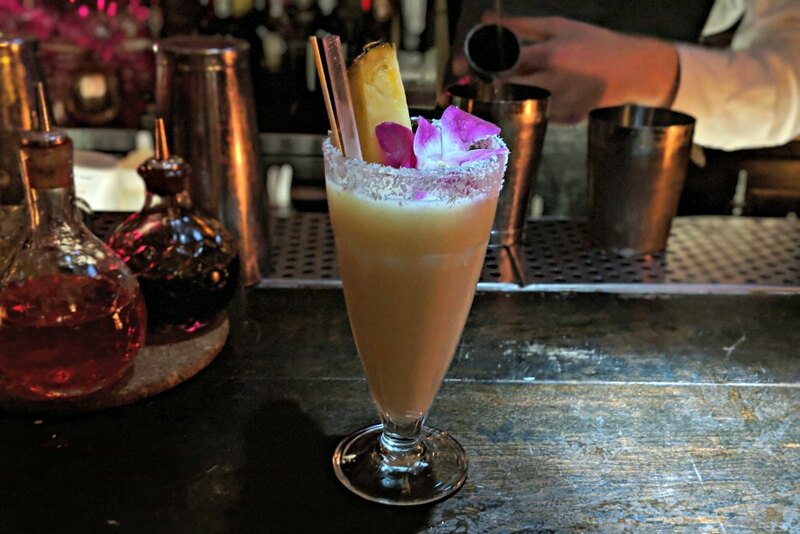 If you're looking for some after-dinner drinks somewhere a little more lively, walk down the road to Nu Lounge, a tiki themed bar which some epic cocktails on the list! 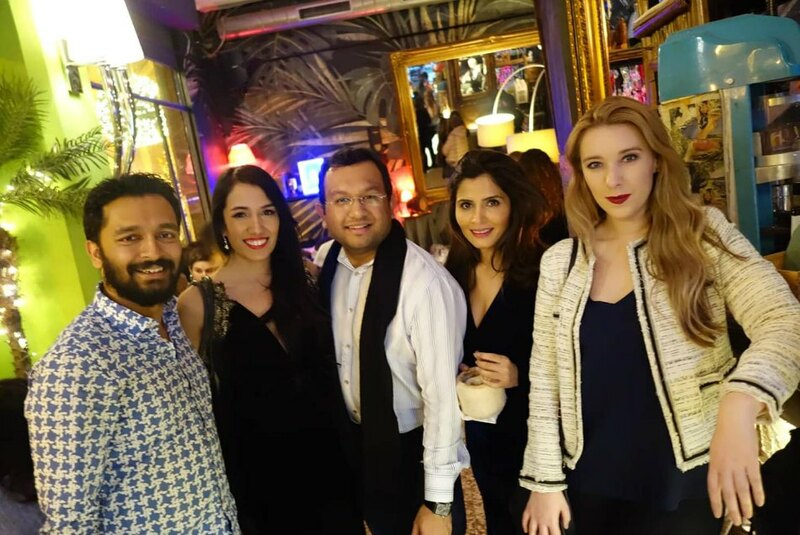 It's essentially a much smaller version of Trader Vics and Mahiki in London. It gets veeeery busy here, so book a table in advance or just walk-in and stand at the bar. Had enough of cocktails and ready for the dancefloor? Head to NUMA Club! 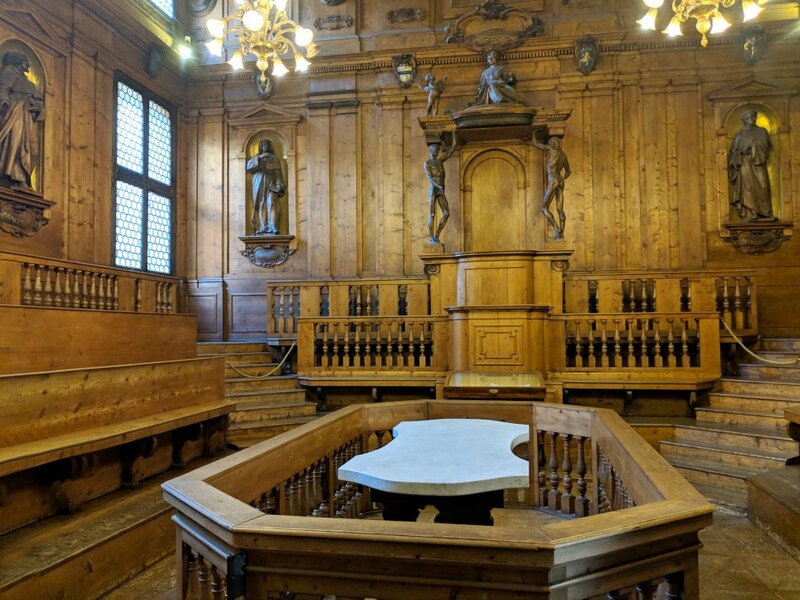 You'll need a taxi to get to this one as it's a little out of the main city square and close to the train station, but the journey is worth it. Honestly I'm not sure how it usually works with guestlist and bookings etc so I can't advise on that. I walked up to the doorman and explained very politely that we were from London and in town for the weekend and didn't know how it all worked, he asked me to get my friends and then he let us all in a different entrance so we bypassed the massive queue and went straight in to the club. We were all dressed very well and had a good mixed group with three guys and three women, so I'm not sure if that helped our case. 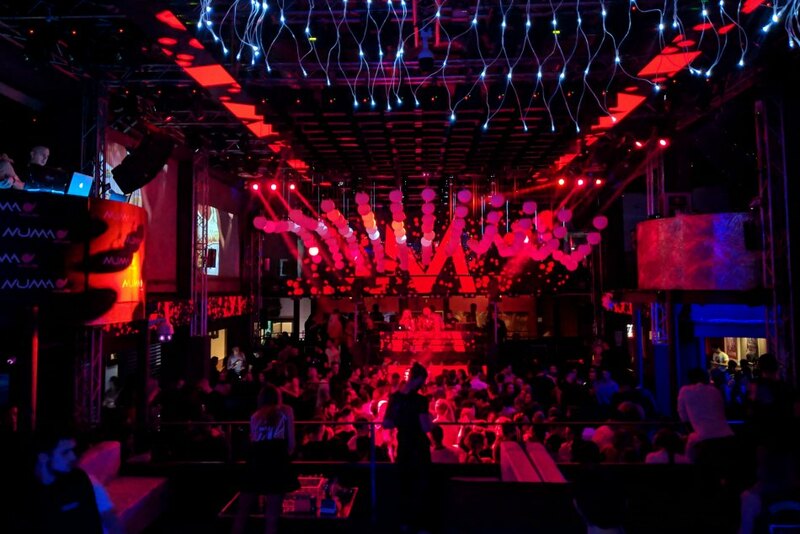 The club itself is huge with two levels, and has plenty of tables if you do want to book one. The music was also pretty great and the bar-staff were VERY generous with their alcohol measures. As with all Italian clubs though, there was an issue with men who didn't know the word 'No', and kept persistently trying to dance with us ladies. Thankfully we had our male friends to firmly tell them where to go when they didn't listen to us. Also, our friendly doorman on the front even called taxis for us at the end of the night as we didn't know which number to call which was nice! You likely would have seen this last night when doing your little bar crawl, but in daylight it's even prettier! 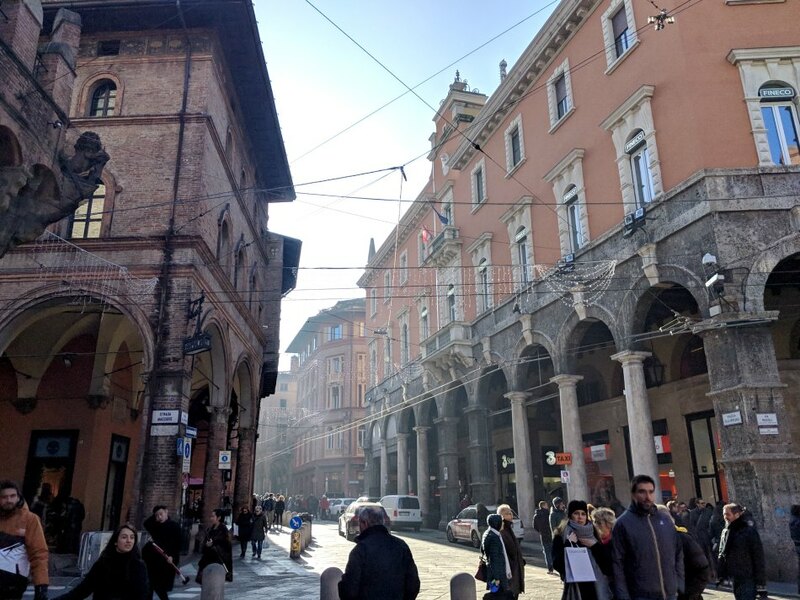 Wander around Piazza Maggiore, and see the Fountain of Neptune, and the famous Basilica di San Petronio. 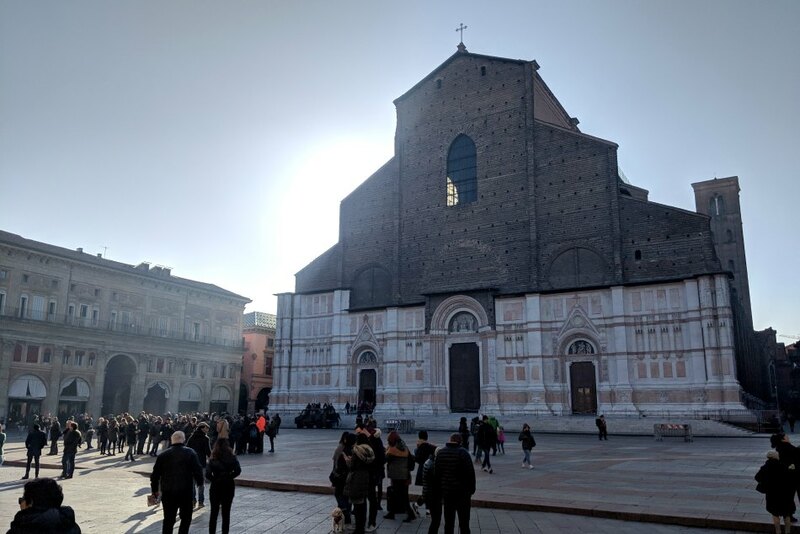 The Basilica is surprisingly not the city's Cathedral, and is instead the main church of Bologna. It is absolutely huge and the tenth largest church in the world - and largest built out of bricks - but the front of the church was never completed and it only half finished. Also, despite being built in 1390, it was only consecrated in 1954 as before then it belonged to the city and community rather than the diocese. The city's actual Cathedral is the Metropolitana di San Pietro, just down the road from Basilica di San Petronio, which was built in 1184. Stepping into a church that is nearly 1000 years old is really an indescribable feeling, and I was lucky enough to catch the end of mass here after attending mass at the Basilica on the Sunday morning. It's a beautiful cathedral and worth popping in to see the chapels and architecture. Bologna is famous for Tagliatelle al Ragù (aka, tagliatelle bolognese), Tortellini el Brodo, Lasagne, Mortadella ham, Parmigianno Reggiano, and Balsamic di Modena. You see these foods in all the deli shops and cafes in the city (in the first photo below), but with no cooking facilities we were desperate to find something similar in an authentic restaurant! After a lot of researching online we discovered Trattoria Leonida, an adorable Italian cafe on a back-street near the leaning towers. Despite being fully booked, they were incredibly welcoming and asked us to return in an hour when they would have a table for eight available. We did so, and enjoyed a feast of Mortadella, all the fresh pasta and bolognese, and a really exceptional local biodynamic Cabernet Sauvignon, all whilst surrounded by local families enjoying their Sunday lunch. 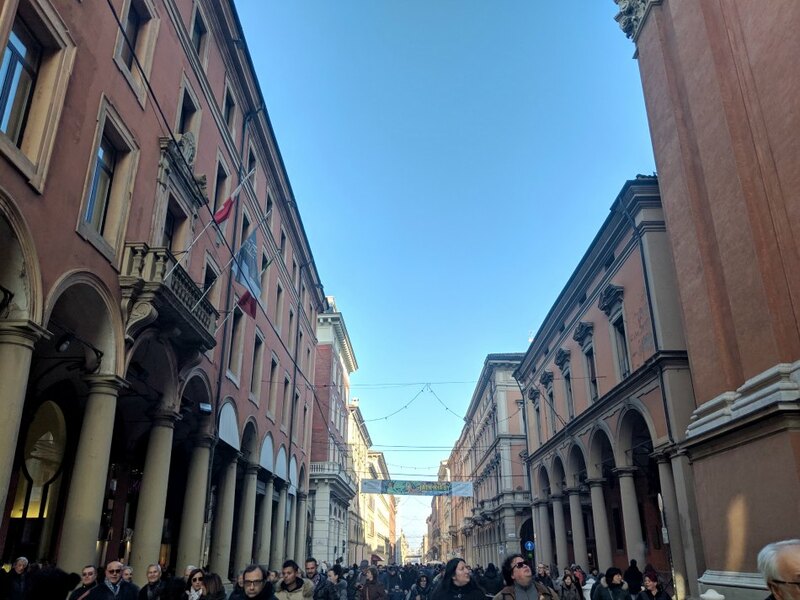 After lunch walk off all that fresh pasta with a wander around Bologna's picturesque porticoes. 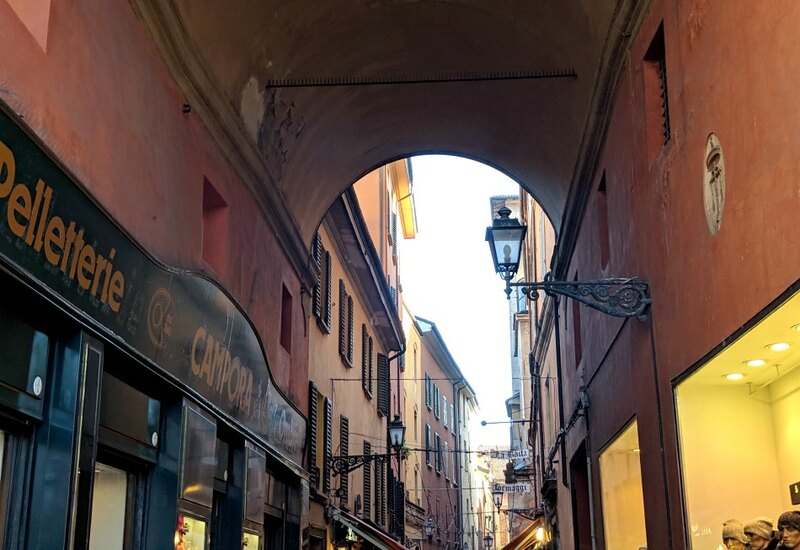 The city has almost 40km of porticoes that are hundreds of years old (the city started building them in 1041), so you can't really miss them. 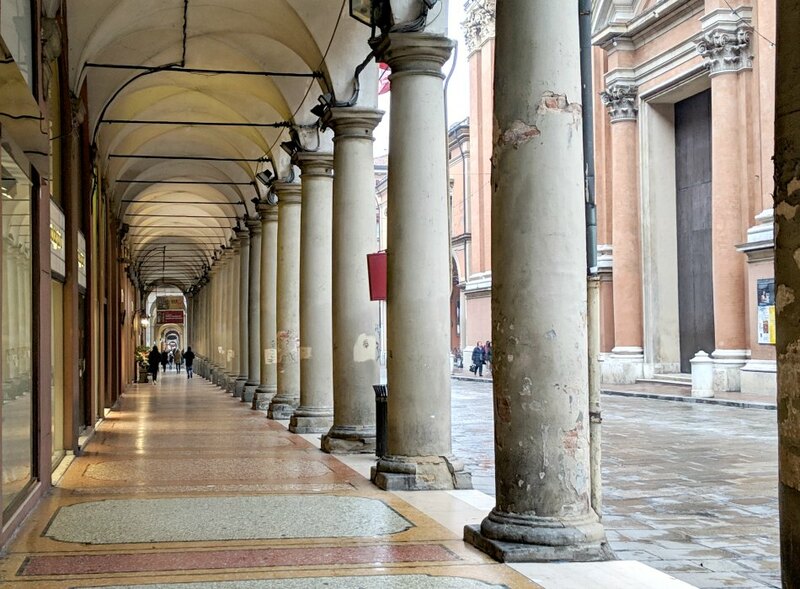 There is apparently no other city in the world with as many porticoes, and to be honest it makes it the perfect city to stroll around in the rain, as no matter where you go you can escape getting wet! 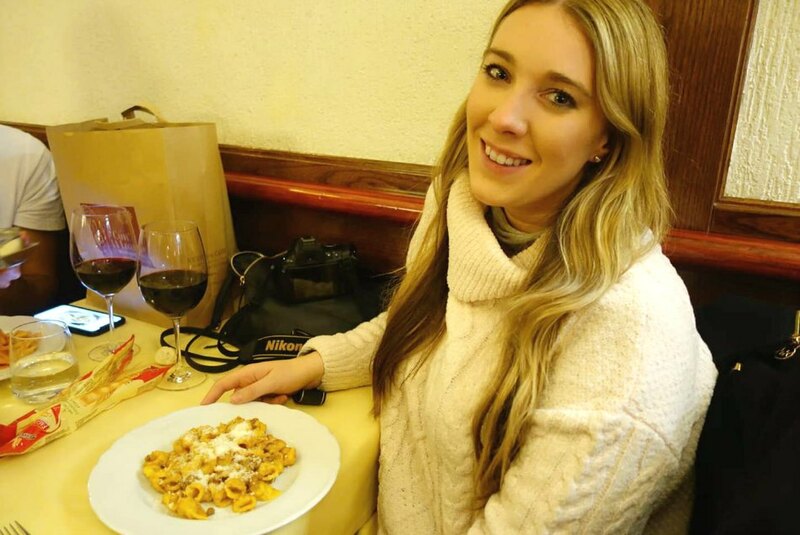 We had a really fun winter weekend in Bologna and found that two nights was perfect for us. 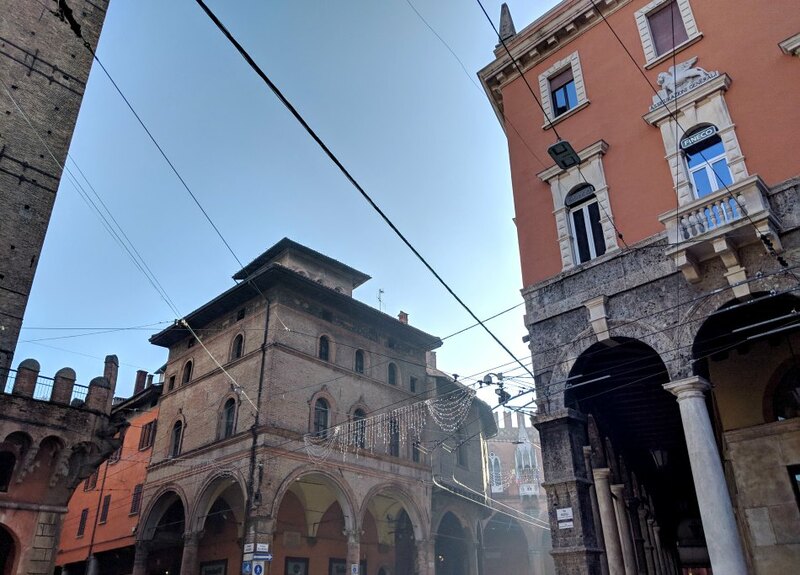 I think if you're visiting in the summer, three nights would be ideal as then you can do day trips out to both Modena, and Monte Della Guardia depending on what interests you. There really is a lack of decent hotels though with most of them very old-fashioned. 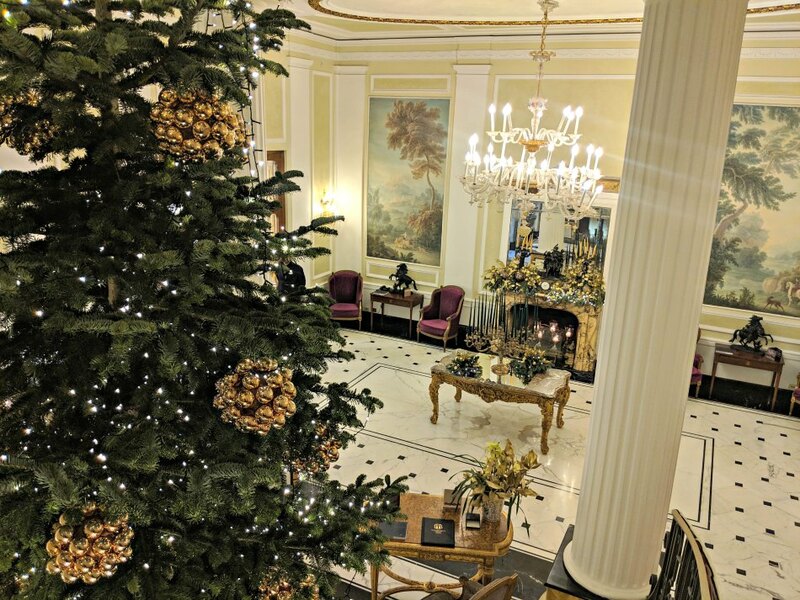 If you have the budget, definitely stay at Grand Hotel Majestic!